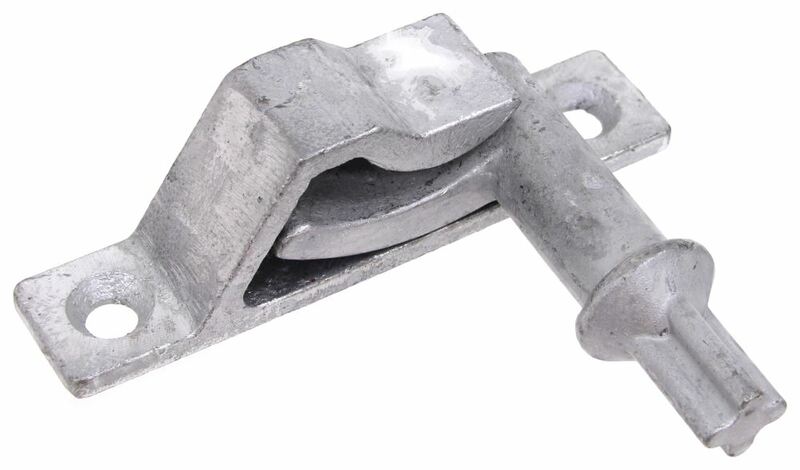 Steel cam-action door latch is ideal for large trailers and similar applications. Can be installed flush on doors with a 3/4" offset. Positive double-action handle protects against in-transit jarring. 3/4" Pipe not included. Call 800-298-8924 to order Polar Hardware enclosed trailer parts part number PLR258-002 or order online at etrailer.com. Free expert support on all Polar Hardware products. 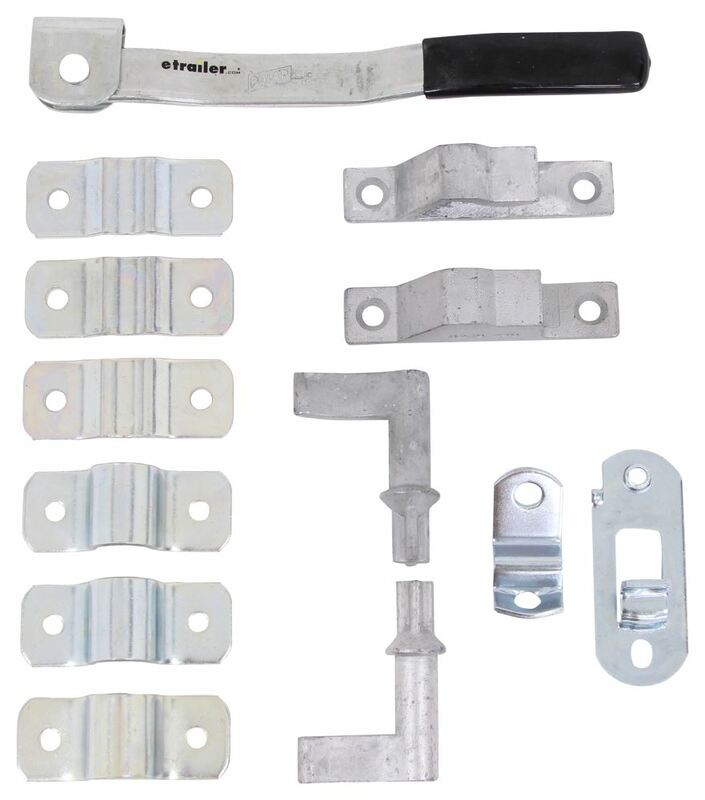 Guaranteed Lowest Price and Fastest Shipping for Cam-Action Lockable Door Latch Kit for Large Enclosed Trailers - Zinc-Plated Steel. Enclosed Trailer Parts reviews from real customers. 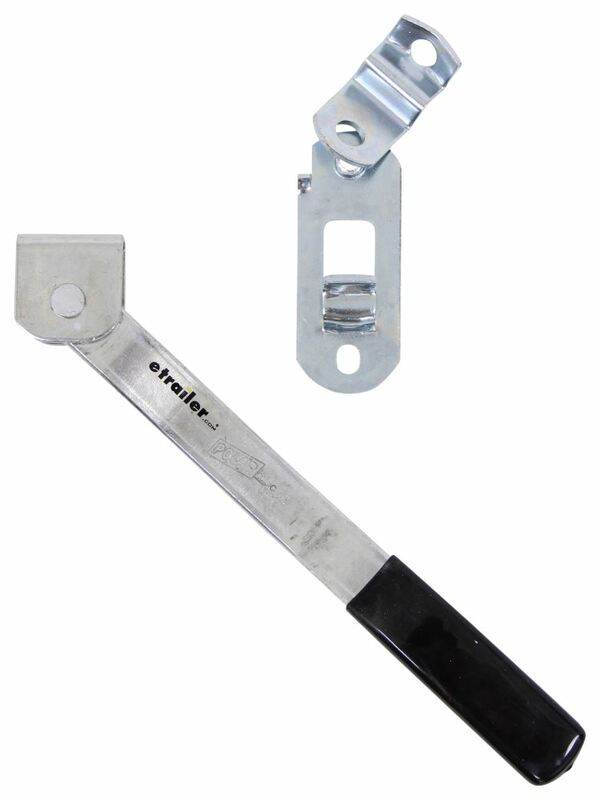 Steel cam-action door latch is ideal for large trailers and similar applications. Can be installed flush on doors with a 3/4" offset. Positive double-action handle protects against in-transit jarring. 3/4" Pipe not included. 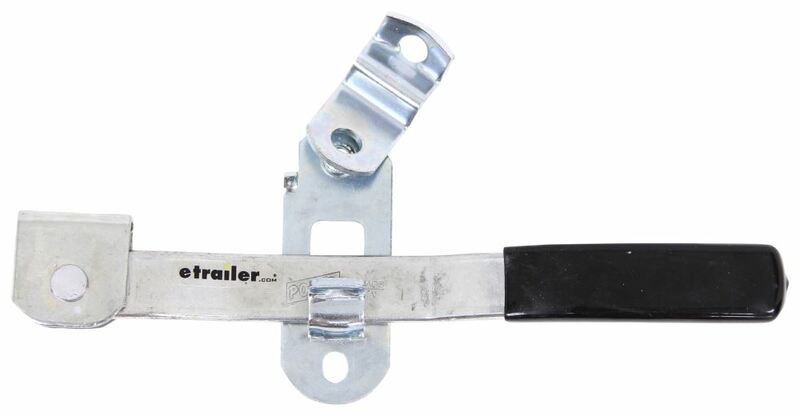 Square Corner Hinge with Reverse Bracket - Polished Stainless Steel - 12"
Today we're gonna be taking a look at the polar hardware heavy duty cam action door lock for enclosed trailers. This unit allows you to add - or replace an old or damaged - cam action door lock on your trailer. I do have it laid out in the way that it would install typically. The unit is made from a strong, durable steel construction. It is designed for flush to three-quarter inch off-set doors and is universal for the right or left hand doors. It can be used for side or rear door applications. It does feature a bridge-type keeper that prevents accidental opening and ensures safe-locking action. The handle on the unit - this is going to measure about thirteen and three quarters of an inch long. Really nice thick steel construction. And, it's got a coated end on it right here, which gives the unit a really nice, easy grip - easy to handle design. Now this handle is designed to weld onto the pipe, so that really helps eliminate the need to have to cut the pipe. Your pipe is not included. This calls for a standard three-quarter inch inner diameter pipe, which will need to be provided separately or on your own. When it comes to the extension from the trailer body for this unit, we're looking at one and three quarters of an inch extension. The islet right here - this is called the padlock or seal-eye - that gives us a diameter of a half inch. The keeper, that's gonna give us a width measurement around two inches and there's a mount located right here and a mount hole located right here. Now, all the holes on this unit will accept three eighth inch diameter hardware. Now any hardware is not included so that will need to be provided separately, as well. Padlock is not included either, so if you're interested in something like that you can check out some options at etrailer.com. That length of that keeper bracket is gonna be about five to five and one-eighth of an inch long. A few other things that I wanna mention for you real quick is just the mount hole separation. So we have our keepers right here, these are really nice as well. Nice narrow design, which makes them great for using on a rear door or on a side door of your enclosed trailer. Then you got the pieces that connect to the top and bottom of the pipe. But, I just wanna give you the mount hole separation on these and then I'll give you the mount hole separation on the other brackets that come with it that go around the pipe. So, center on center, the distance between our holes, we're looking at four and three-quarters of an inch. And then, center on center, the distance between these mount holes: these are gonna be separated on center by about three and one-eighth of an inch. That's gonna do it for today's look at the polar hardware heavy duty cam action door lock for enclosed trailers. 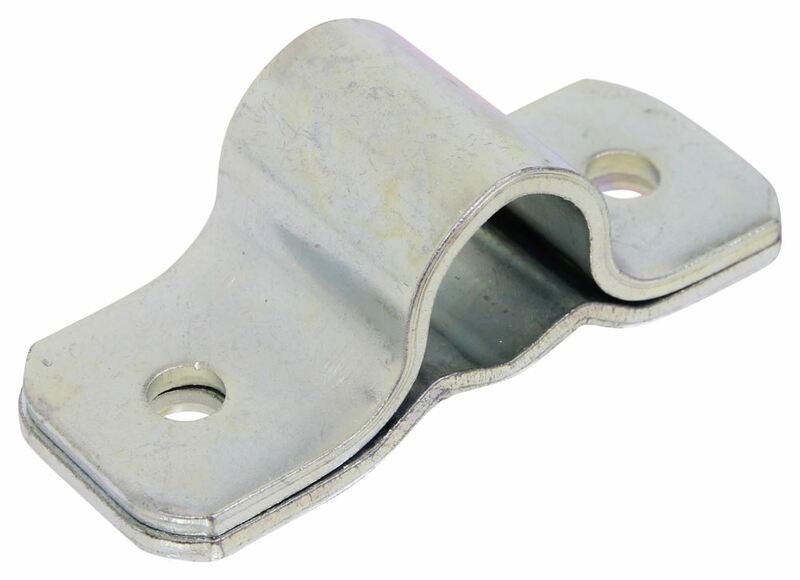 Order: RelevanceNewestRating - High to LowRating - Low to High Steel cam-action door latch is ideal for large trailers and similar applications. Can be installed flush on doors with a 3/4" offset. Positive double-action handle protects against in-transit jarring. 3/4" Pipe not included. I went out to our warehouse to take measurements of the Cam-Action Lockable Door Latch Kit for Large Enclosed Trailers - Zinc-Plated Steel # PLR258-002. The bar you will need is 3/4 inches inner diameter and can be up to 1-1/8 inches outer diameter to fit in the brackets and move properly. I've attached a photo to assist. The Polar Heavy-Duty Cam Action Door Lock for Enclosed Trailers # PLR258-002 that you referenced will work well for you to add dual cam door locks to the dutch doors and ramp of your horse trailer. This cam action door lock can work for both right or left hand doors, so the same part number with work for both of the dutch doors on your trailer. The # PLR258-002 is designed for use with a 3/4 inch pipe, which is not included. This pipe can be found at your local hardware store. The bottom keeper on Cam-Action Lockable Door Latch Kit # PLR258-002 measures roughly 5-1/8" x 2", while the top keeper measures roughly 3" x 1-3/8". I made a diagram which displays these dimensions, and have also linked a review video for you to take a look at. 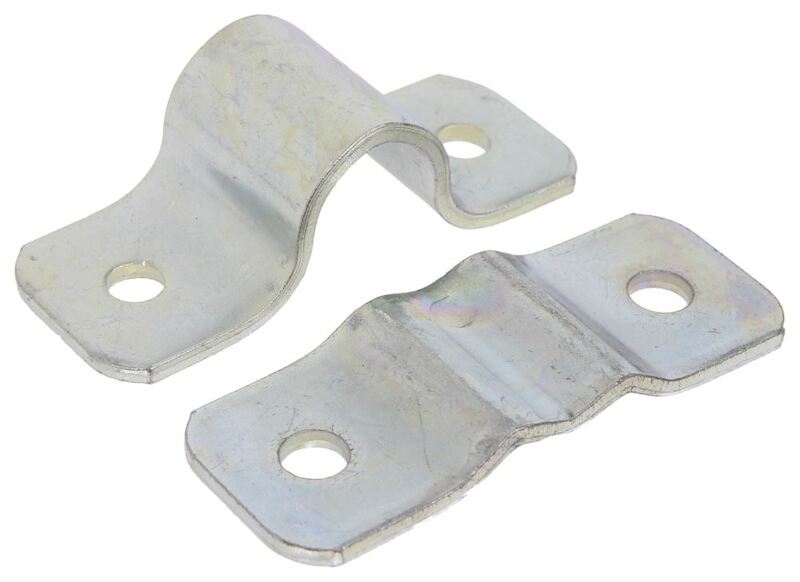 We may have a solution for you though we do not have parts specific to trailers so you would need to find something compatible with your current latches. 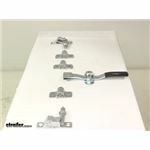 The Cam-Action Lockable Door Latch Kit w/ Wide Hasp # PLR258-002 may be an option, as could side door lock # PLR3057. I will link our selection of available door hardware for you to take a look at. If you can get back to me with a photo of what you need I may also be able to help you that way. 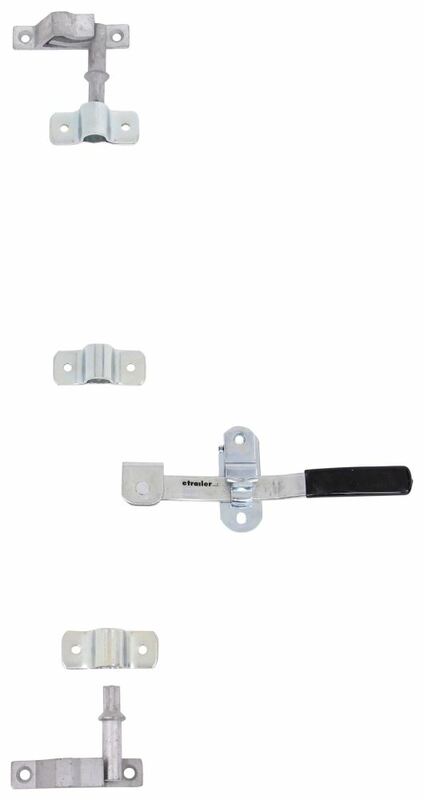 Replacement Hasp # PLR258-101 can be used as a stand alone item but it is a replacement for the hasp that comes with Cam-Action Lockable Door Latch Kit # PLR258-002. It does not sound like what you are looking for though. To determine if we have what you are looking for I would need to see it. If you can please email me a picture.